JEB started in 1959 as an offshoot of the Esperanto Association of Britain (EAB). Some now-famous Esperantists, such as Humphrey Tonkin and John Wells, were involved in its early days. During the noughties, JEB saw a revival thanks to Daniel White and Tim Owen (both ex-presidents). 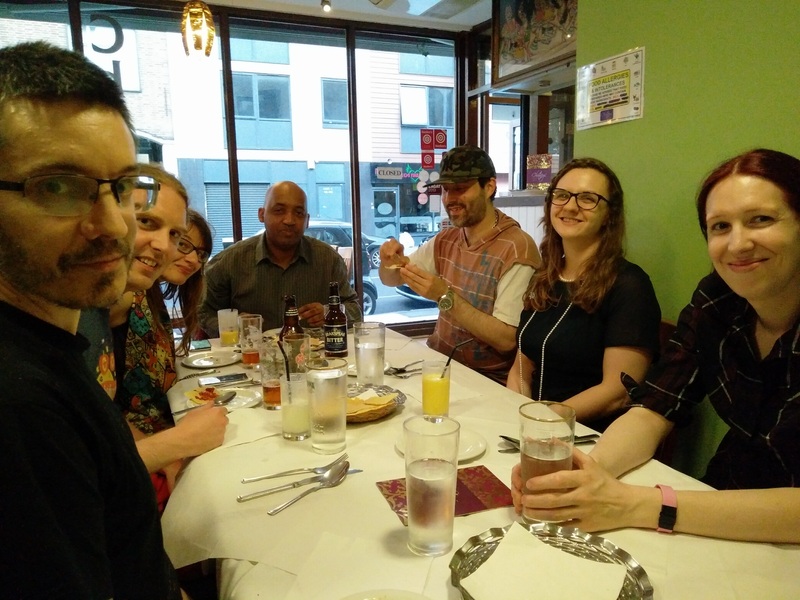 JEB events provide a relaxed atmosphere, for new speakers and experienced Esperantists alike, to visit new places, practise the language, and have fun! We do all sorts: sightseeing, talks, museum trips – whatever takes people’s fancy. 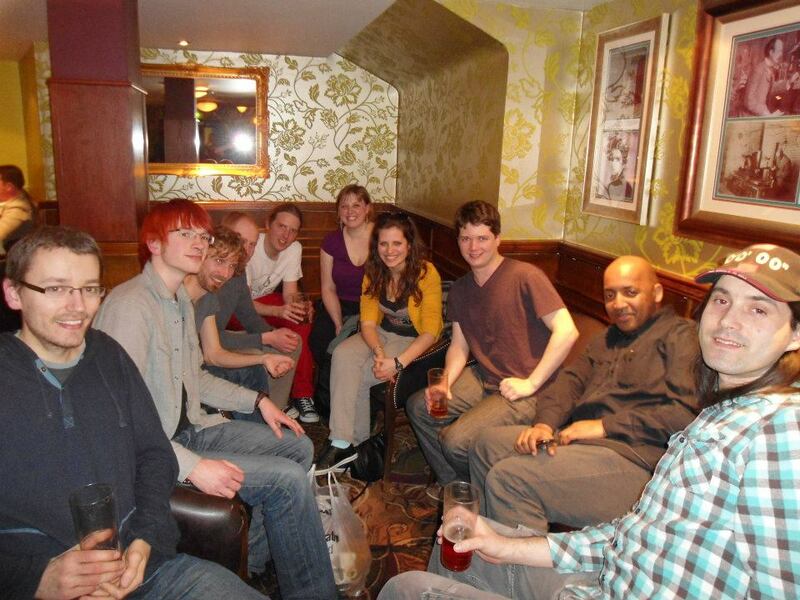 The only constant is that we end up in Wetherspoons at least once for every event! Our events are one day or over a weekend, and usually there is no charge for attending. 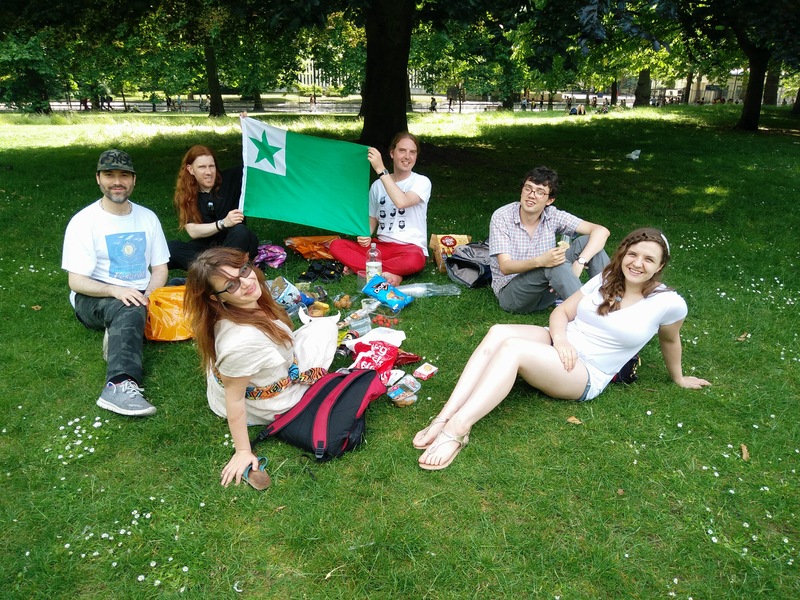 Many JEB members also travel together to larger Esperanto events abroad, such as the International Youth Congress (IJK) and Esperanto Youth Week (JES). 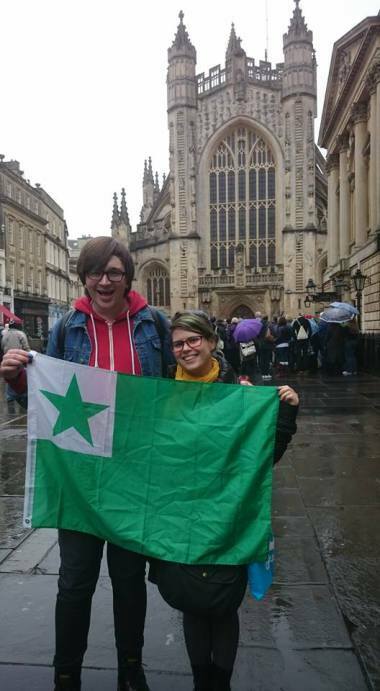 If you’re under 25 you can get a travel grant from the Norwich Jubilee Esperanto Foundation to travel to any event, big or small. Check out some pictures from our past events below. JEB is run by a committee of elected members, and elections are held every year. There are two main roles, President and Vice-President, as well as the general role of Committee Member. 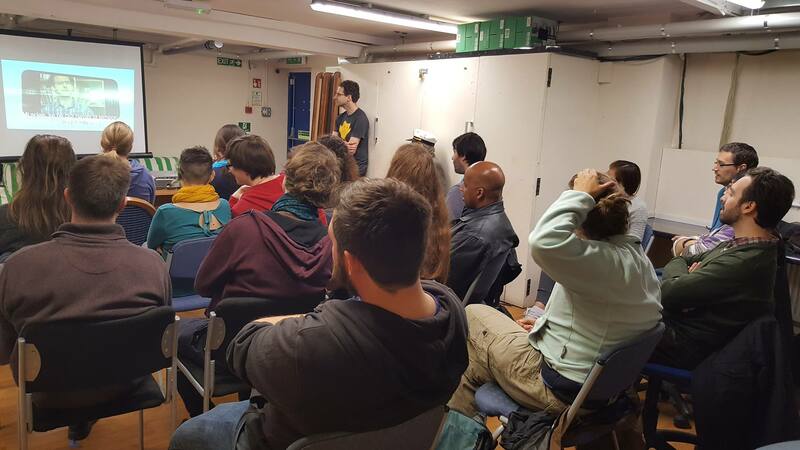 However, because we’re a small organisation, there’s not a strict division of tasks, and committee members can focus more or less on various aspects of the role as they wish. Ariel is a 25 years old, originally from Bath. 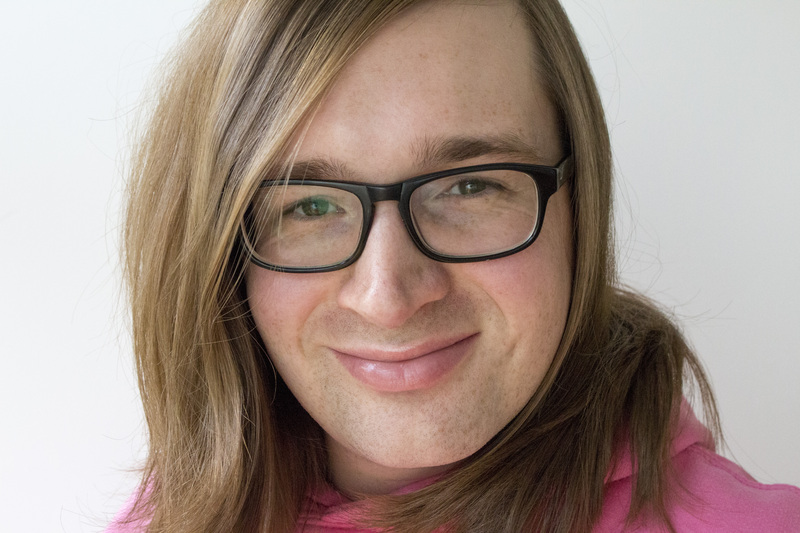 She has been involved in Esperanto for almost eight years now, and works as a teacher of English and Esperanto, and as a writer. She contributes to the blog Egalecen, about social justice and feminism in Esperanto, and also makes very silly videoblogs in Esperanto. She’s committed to making JEB events fun and accessible, and hopes to see you at one in the near future! Tyron is 19 years old, and from Kent. 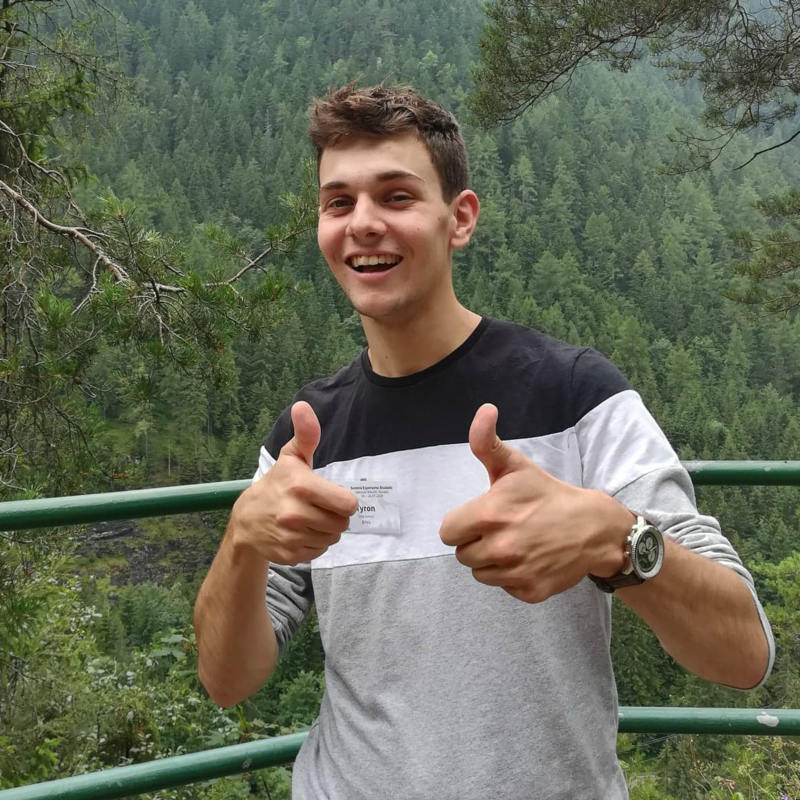 He first started learning Esperanto 3 years ago with the Duolingo course, and first attended an Esperanto event in the summer of 2017. His main aim is to try and make sure all young Esperantists in Britain are able to get involved in JEB and its activities. 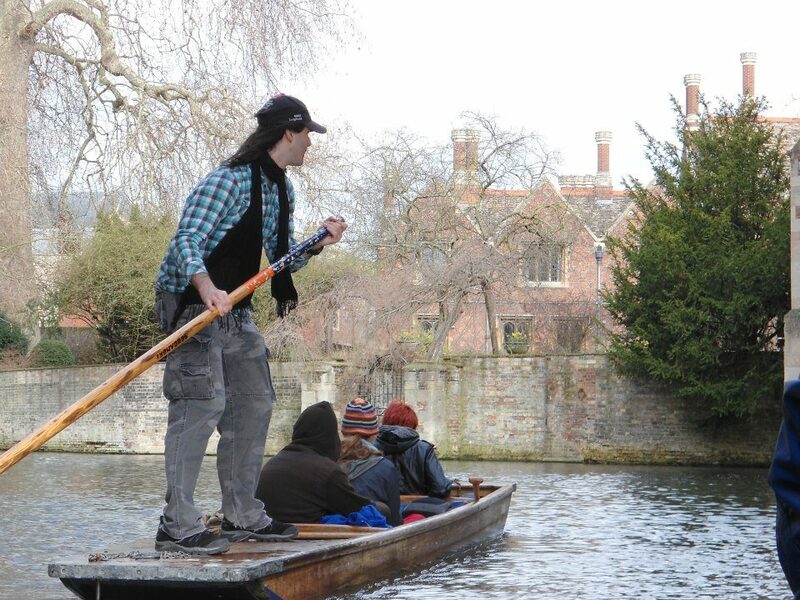 Outside of the world of Esperanto, he studies History and Politics at the University of Oxford. You can read our constitution in English and Esperanto here.